My connection to the poem “Hellas” by Percy Bysshe Shelley spans 20 years and grows with each unexpected turn in this journey called life. It started in high school, while acquainting myself with the Romantic period and developing a particular fondness for Shelley and Lord Byron, and John Keats to a lesser extent. Confused by words I hadn’t seen before and verse sometimes too sophisticated to comprehend, I favored simpler works that rhymed, such as “When we two parted” and “Ode on a Grecian urn.” I vaguely recall reading “Hellas” but cannot remember ever knowing each poet’s tragic biography or his connection to Hellenism. Ten years ago I came to know each man better by being lost in Rome. 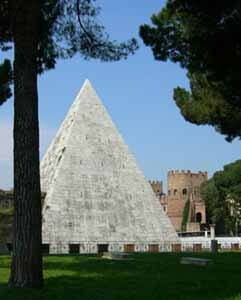 I carry no guidebook when traveling and happened upon Keats’ house near the Spanish Steps, then got off at the wrong metro stop and wandered into a cemetery (Cimitero acattolico), while trying to figure out why there was a pyramid (Cestius) in Italy. A gravekeeper greeted me, placed a map in my hand and explained in Italian that I might be interested. I never used the map because I was content to be somewhere quiet for a change, roaming amongst the Russian, American and German elite, thinking what interesting and intelligent conversation was possible if ghosts could speak. In front of Shelley’s grave at the back wall, I stood in contemplation for at least a half hour before coming to terms that he was indeed mortal and not just a fictional character who wrote poetry three centuries ago. Keats was there too, albeit in a greener, sunnier plot with flowers adorning his nameless tombstone. It was somehow a little too real, but also the most impressionable memory I took away from my time in Rome. After a week in Venice to celebrate Carnival, I set foot in Greece for the first time. Greece was not somewhere I’d always dreamed about, nor planned on going during my winter in Europe. It was a destination that my friend Janisse and I had planned together in Lyon because she had friends in the capital, but she instead went to London to mend a broken heart and I to Athens. My first impression was unfortunately not a good one — people pawing me as I disembarked, streets full of garbage, pollution and smoke, a cement jungle of depressing grays and no green. Now I live here, and I wonder how this happened. Feeling discontent with my first landlord in Plaka, I moved across the street from the American Embassy to an apartment that had a painting of Lord Byron in the entry way. He watched over me. I would later spend the majority of my 10 years living in a shadow of the poet’s name, even if there was nothing poetic about the municipality itself. Today, someone gave me a photo containing a verse I recognized as being from Shelley’s “Hellas.” It makes me think that perhaps my journey has come full circle. Written in honor of Greece’s struggle for freedom during the War of Independence, interpretations can be found here. It is a pity that Greek education about Romanticism begins and ends with Byron, and it focuses only on his valuable help in our War for Independence. After all for as he is not a poet but a hero. Thanks Kat, that was beautiful and a great way to start the day, I wasn’t familiar with this poem. Greece, Hellas, Ellada, will always harken back to its Golden Age, it lays like a veil over the country and distorts or should I say softens the view, it’s so much prettier more romantic when in soft focus. In spite of 500 yrs of occupation, the blood of the ancients runs through our veins, at least I know it feels like it runs through mine, and slumbers there until awoken and this morning it was with this poem. Have a great day (evening). Like you I also ended up in Greece by accident not design. 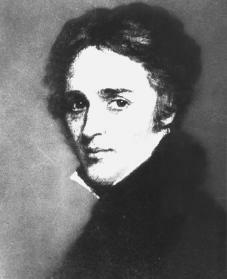 Before that, ‘Greece’ was more of an idea, more a cultural reference point (of Shelley’s kind) than a country to me. 2) Greece inspires me – I am a painter by hobby – in a way my native country could not. I think I still look at this country through rose-tinted spectacles of the sort that Shelly and the Romantics undoubtedly wore. A country as an ideal. But I realise now that I am never going to take them off. P – Nice to hear from you again and thank you! There is much glory to be inspired by. Modern Greece should take note of what can be accomplished, instead of what’s left to ruin. V mou – Being a poet yourself, I’m not surprised. When I read your verse in Greek — even when I can’t understand every single word — it is more precise in expression than if I translate it to English. K – Actually, I was joking a bit when I said, “I wonder how I got here.” My humor is sometimes subtle or dry. I’m actually here out of love for the country, and my move(s) were intentional after that day on Syntagma. This post describes what happened before that day, which is described in #6 on the ‘Best of” list. There was a period that I idealized this country and saw past or ignored its challenges. Infatuation tends to distort reality. But I’m happy to hear you’ve been treated well, have found a balance and still find inspiration.